للمسافرين الذين يرغبون أن يعيشوا كل ما تقدمه المدينة، At the Mango Tree Apartments هو الخيار الأمثل. يجذب هذا الفندق ذو 3.5 نجوم، والذي يبعد 1.0 Km فقط عن وسط المدينة و 70. Km عن المطار، الكثير من الزوار سنوياً. إن سهولة الوصول من الفندق إلى المعالم السياحية الشهيرة الكثيرة في المدينة هو استثنائي بحد ذاته. إن الخدمات الممتازة وحسن الضيافة العالي في At the Mango Tree Apartments تجعل إقامتك تجربة لا تنسى. يقدم هذا الفندق العديد من الخدمات الكفيلة بإرضاء أكثر الضيوف تطلباً. تعكس غرف الفندق البالغ عددها 19 المنتشرة في 2 طوابق جواً من الدفء والألفة.خدمات عصرية مثل تلفزيون بشاشة مسطحة, مرحاض إضافي, رف للملابس, بياضات, مرآة موجودة في بعض الغرف المختارة. يمكنك الاستمتاع بالأجواء المريحة التي تقدمها مسار جولف - ضمن 3 كم, حمام سباحة خارجي, غوص, صيد السمك, سبا طوال النهار. إن At the Mango Tree Apartments هو خيارك لخدمة الفنادق الراقية في المدينة. Good value for money, still close enough to walk to the Main Street. We stayed here for a week during the school holidays with our 2 children. It was the perfect base to explore the town and surrounding area. Easy walk down to 4 mile beach as well. Can’t go wrong. I stayed here because I liked it 24 years ago. Age shows in design but apartments built today would not have such good sized dining and living areas. Two bedrooms and well suited to families as is the quiet location away from the road. We used it as a base and I would not recommend it as a place to spend all your days in, though pool is nice. It's an easy walk to Macrossan St by 2 different roads or the beach. Owner is helpful. 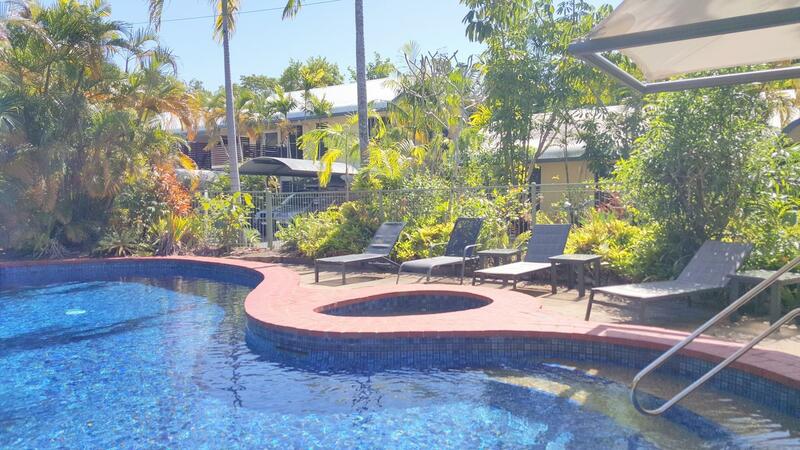 Great holidays base - with everything you need for a short stay, good privacy and nice surrounds. Short walk to town centre, shops, marina. A/C in lounge room only, but fans in bedroom helped keep the temperature manageable. Clean comfortable ans spacious accomodation with good kichen facilities. 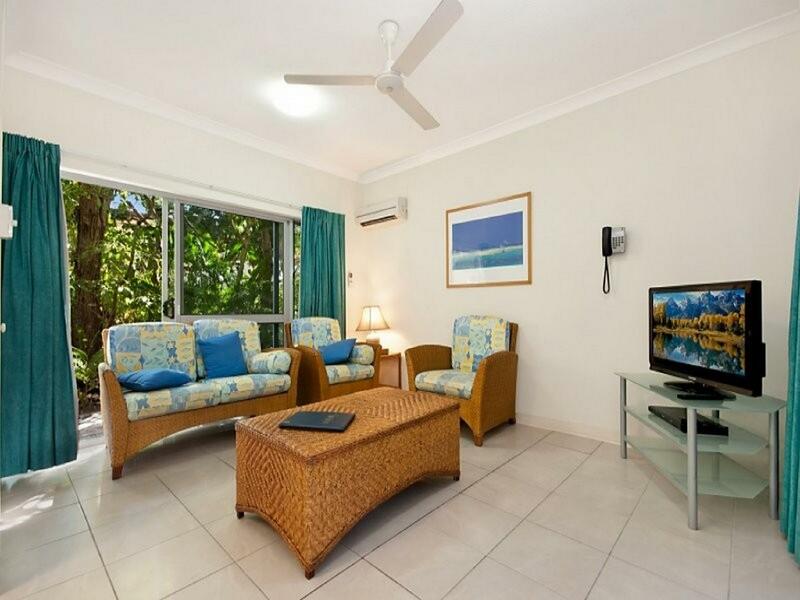 Short walk to the beach and walking distance to main shopping and restaurants. Good bottle shop and Chinese restaurant next door. Lovely, spacious, clean apartment with an excellent assortment of crockery, cutlery and everything you would need to take a picnic lunch. Very comfortable. Good laundry facilities in the apartment. It was by far the best equipped apartment that we have ever stayed in! Walking distance to town, lovely pool area and fully self contained units. At half the price of many resorts and hotels, this suited our family's needs. The pool area is lovely, there is undercover car parking and the town is close enough to walk to. The units are not new and ultra modern however comfortable. Having a washing machine in the unit was a bonus. 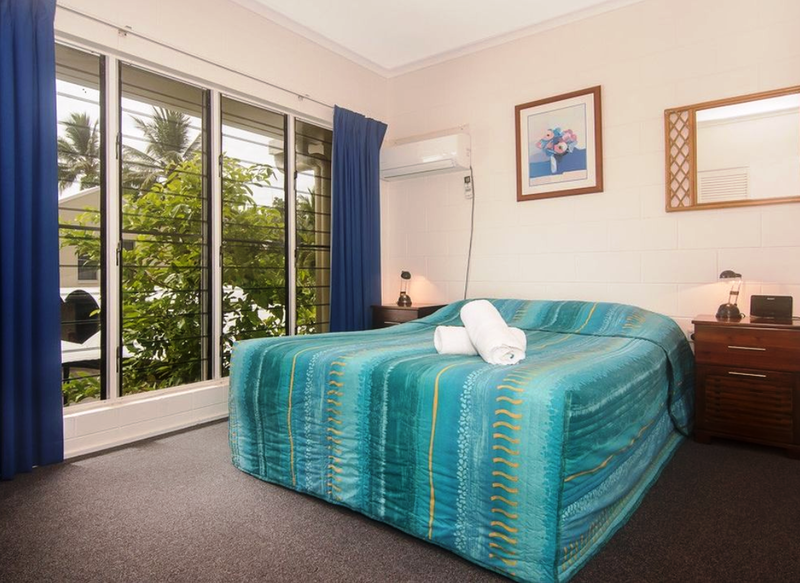 Close to restaurants, Mossman Gorge and beach by car. Thoroughly enjoyed the Mango Tree, so much so we stayed again on our way home. very simple and quick check in and check out from hotel. big apartments enabling own cooking, especially since very close to convenience stores. own parking place and separate from neighboring apartments enabling good privacy. the kids enjoyed the swimming pool. 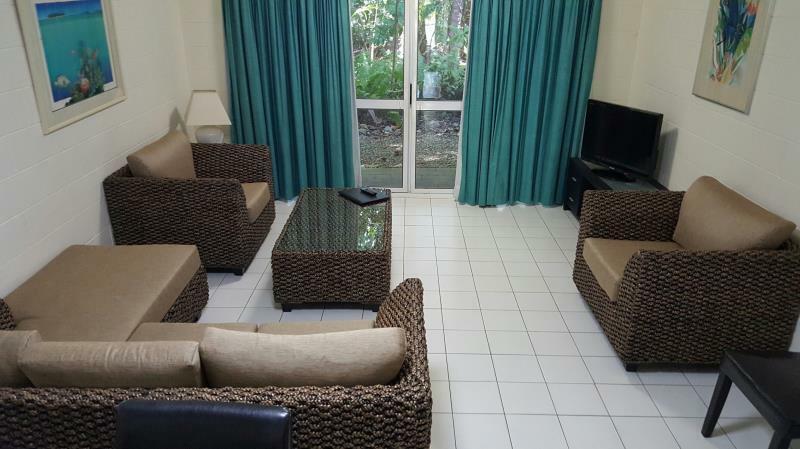 location was very good - 10 min walking to central marina for all reef boats and 10-20 minutes walking to central shopping street with many good restaurants.